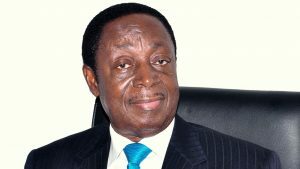 A former Finance Minister Dr. Kwabena Duffuor is urging Parliament to ensure transparency in the management of Ghana’s oil revenue. This comes as government readies to gain from the benefits of the new oil fields of Tweneboah-Enyira-Ntomme (TEN) in the next few months. The Public Interest and Accountability Committee (PIAC) in its last three reports has pointed to problems in the management of the proceeds from oil revenue specifically in the Stabilization Fund. Speaking at a forum organised by the Institute for Fiscal Studies (IFS), the founder of the HODA Holdings, Dr. Duffuor said the 275 Members of Parliament must lead the charge of ensuring transparency in how Ghana’s oil funds are properly managed. The forum highlighted the major issues bedeviling the management of the country’s funds with special focus on oil.